In approximately 48 hours, harriers from all parts of New Jersey will make the pilgrimage to Holmdel Park to test their early season fitness at the annual Shore Coaches Invitational. We’ve updated many of the All Time lists for racing at “The Cathedral”. Today we’re posting the lists for top individual performances, sub 16:00 for Boys and sub 19:00 for the ladies. Will the lists be re written after Saturday? Lets hope so. Note: As always, please let me know of any errors, omissions, etc. You are missing Holmdel’s Jack Baisley who ran 15:58 from the 2012 MOC. 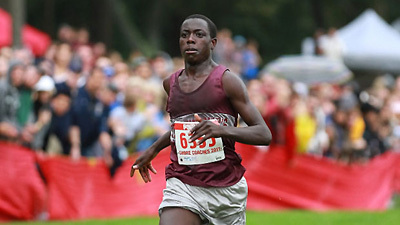 Also Shawn Wilson ran 15:40 at the Group 4 meet the same year. I think Napolitano, Riff, and Baisley were left off the list and they all broke 16 at Holmdel last year at MOC! This entry was posted on October 3, 2013 by Patrick Montferrat in Uncategorized.